Bruno Bergen has been a passionate educator for 36 years. He has truly made a difference in so many students' lives. Whether it was in the classroom as a teacher, on the court as a coach, or in his office as a high school counsellor, Bruno has positively impacted the lives of many students. He is a huge team player, who brings his experience and great wisdom to all aspects of his job. Bruno is a fabulous role model for both staff and students here at RBSS. He is a very strong leader on our staff, and in our district, and his colleagues all have the utmost respect for his knowledge in education. 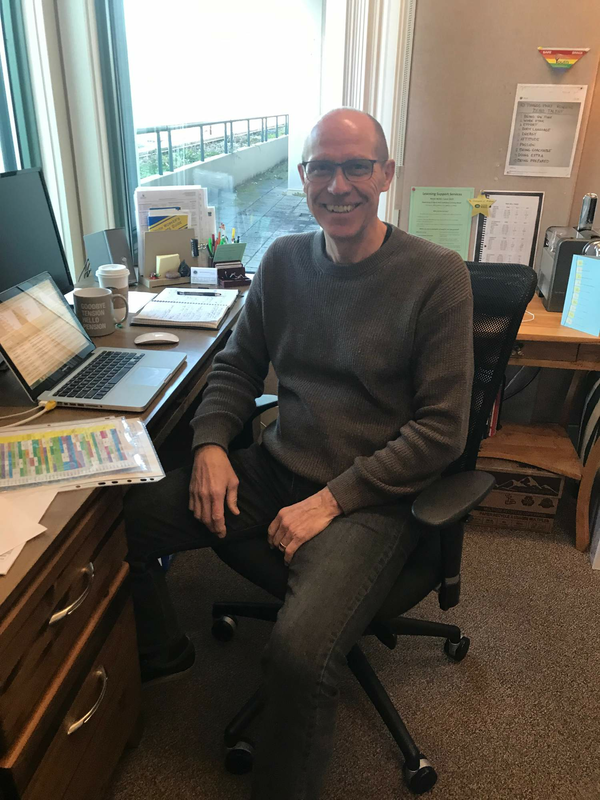 Bruno can often be found in his office or walking the halls of Bateman, interacting with students, and helping them through life’s challenges. His genuine kind nature, along with his patience makes Bruno an amazing counsellor. Bruno is retiring from education at the end of January 2019. He is leaving this wonderful profession knowing he has helped and changed the lives of many students and staff. He is loved by all in our Robert Bateman Secondary family. You don't replace a "difference maker" like Bruno Bergen. You just celebrate the career he has left behind as he moves into a new chapter in his life. We will miss his great work here at Bateman, but, we wish him all the best with a well-deserved retirement. Congratulations Bruno - thanks for making a HUGE difference!! !